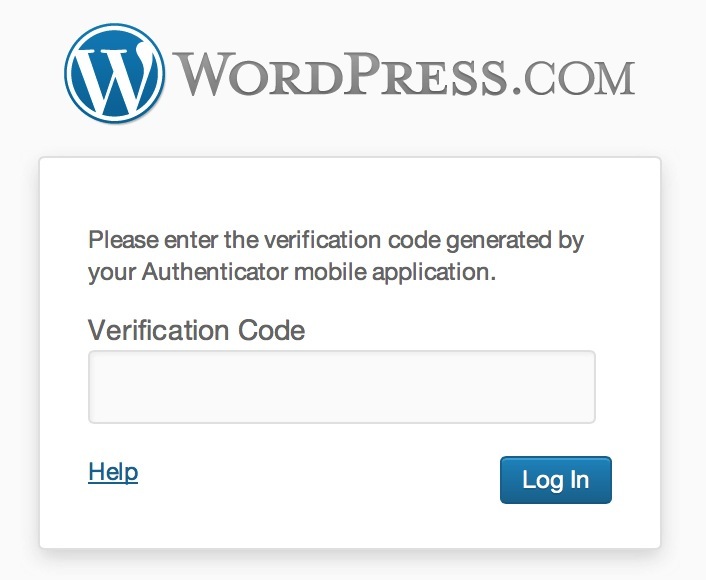 We know your blog is important to you, and today we’re proud to announce Two Step Authentication: an optional new feature to help you keep your WordPress.com account secure. For those of you who use Two Step Authentication with your Google account, you’ll know how useful this feature is for keeping your account secure. Have feedback or suggestions? Leave them in the comments! Brilliant! Necessary! Forward-thinking! Outstanding! Now leaving to turn on the 2-Step! SMILE! Thank you! Alternatively, SMS authentication will work with any phone, provided you have reception. great timing this is something that we need. As an aside, will this also be enabled for self-hosted blogs, as a Jetpack service perhaps? We are looking at the best way to offer this in Jetpack, but no firm plans just yet. Keep an eye on the Jetpack blog for future announcements! Great. I don’t have a cell phone, so can’t download the app. Does this mean my blog is no longer accessible? Don’t worry, this is an optional feature! You can opt to have a login code sent to you by SMS, instead. You’ll need network reception, of course, but this will work with any phone. Now if Apple will just send me an iPhone to test out. Optional means I don’t have to do this, right? Because we don’t have cell phones. I don’t want to discover that I have no choice. We can’t afford cell phones, so we don’t have them and amazingly, life is fine — even though sometimes, we are out of touch for a few hours. Just like in the good old days!! That’s correct, this is an entirely optional extra level of protection for your account. We understand that not everyone has a cell phone! That’s all fine and dandy if you have a data package on your phone, otherwise useless. You only need your phone connected to the internet when you install the Google Authenticator app – after that, the codes will be generated without needing an internet connection. Great function but what happens if you loose your smartphone? We strongly recommend you set up Backup Codes after you enable Two Step Authentication. These backup codes can be printed out and kept in a safe place, to use in the event you lose your phone. This is a great step forward WordPress and should become a standard feature for all the other providers of internet services. As I am no professional for security questions do you think that with 2-Step-Authentication a periodic change of the password is dispensable? It would be nice if this could be extended in future to use Yubikeys. Thanks for the suggestion! We have no immediate plans for Yubikey support, but we’ll keep it in mind for future updates. Great, security is always top priority. If you don’t have a smartphone or cell but have an iPod touch with a camera, you can still do this! 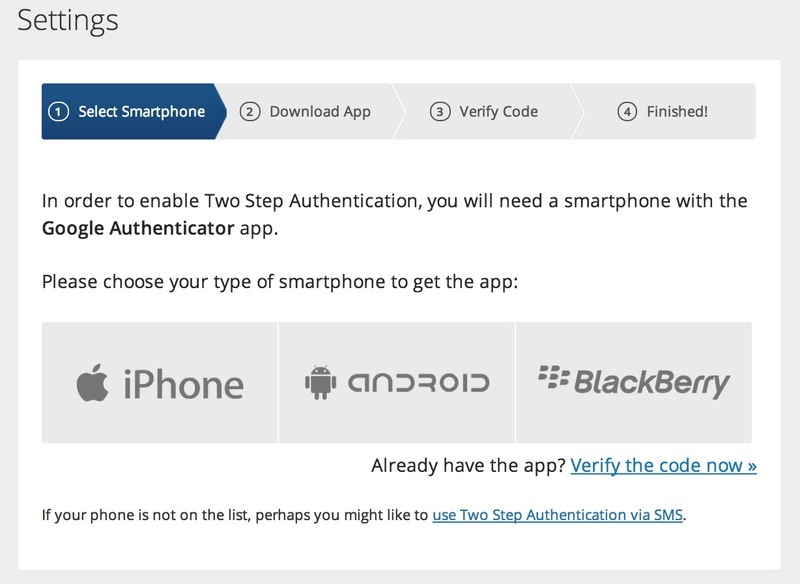 Just download the Google Authenticator app from the App Store and follow the instructions for the two-step authentication in the security settings. It still works and it’s a piece of cake. Finally, a long wait security feature come. A MUST enable feature. Is this available for all WP websites…or just the free blogs people sign up for? My clients websites are all on WordPress and I dont see the security tab anywhere (including under settings)…and most of them are in 3.5.1…so am I missing it…or is it not available for WP websites yet? This is currently only available for WordPress.com sites, though we’re investigating ways to make it available for self-hosted WordPress sites, too! This is sometimes called two-factor authentication. Awesome Work. Thanks a lot for integrating with Google Authenticator. I would like to request the option to move from one phone to another without disabling this app on phone. Since, I have rooted phone, I would love to have this feature, in case I formatted the phone. Thanks for the suggestion! We’ll keep this in mind for future updates. @Salman Backup the Google Authenticator using something like Titanium Backup before formatting and it will restore without any issues just fine.